Hey all ! I have joined up with everyone at Teaching Blog Addict for their Friday Freebie! This my newest item, a plural nouns practice page. They can be so confusing! Boxs or boxes? Dresss or dresses? This review page will help! 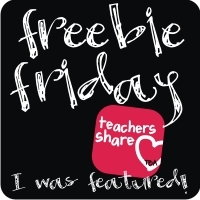 Go to my Teachers Pay Teachers store here to pick it up and also go to TBA by clicking the button below to see all the other wonderful freebies!